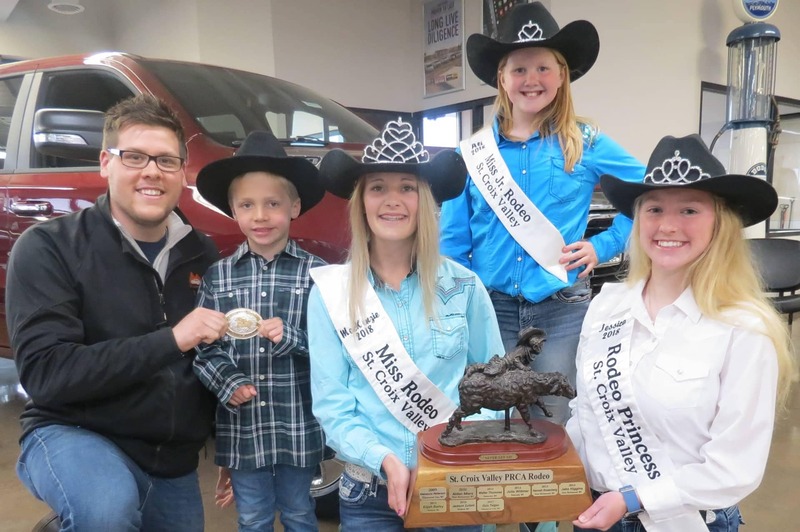 2017 Muttin’ Bustin’ winner Oslo Teigen, poses with Rodeo Queen MacKenzie Dow, Princess Jessica Moor, Miss Jr. Rodeo Ali Dow, and Chase Paulson from BERNARD’S to receive his belt buckle in exchange for the traveling trophy. 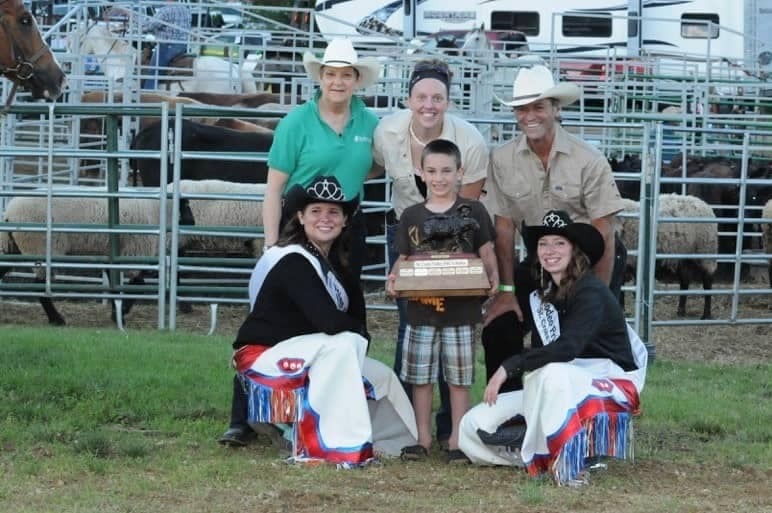 Olso’s dad Brain Teigen and the entire family are very proud of this lil’Cowboy. 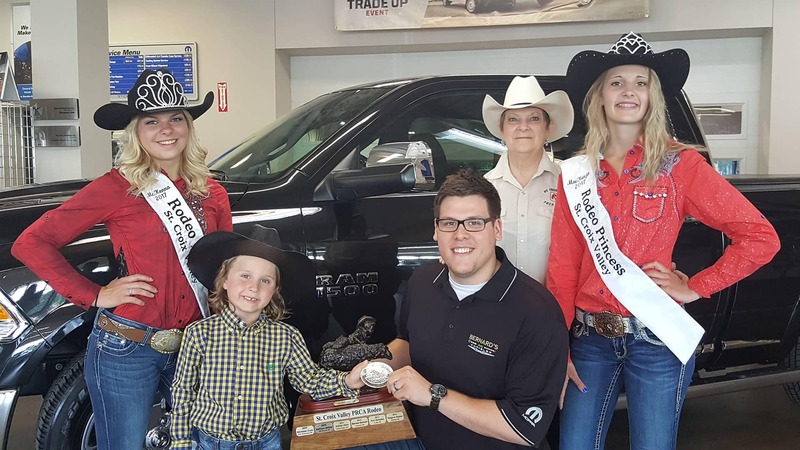 2016 Muttin’ Bustin’ winner Zack Zuliani poses with Rodeo Queen McKenna Smith, Princess MacKenzie Dow, Rodeo Board Member Marie Booth, and Chase Paulson from BERNARD’S to receive his belt buckle in exchange for the traveling trophy. 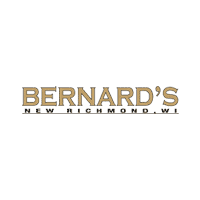 This outstanding young man is from Hudson WI and is 6 yrs old. 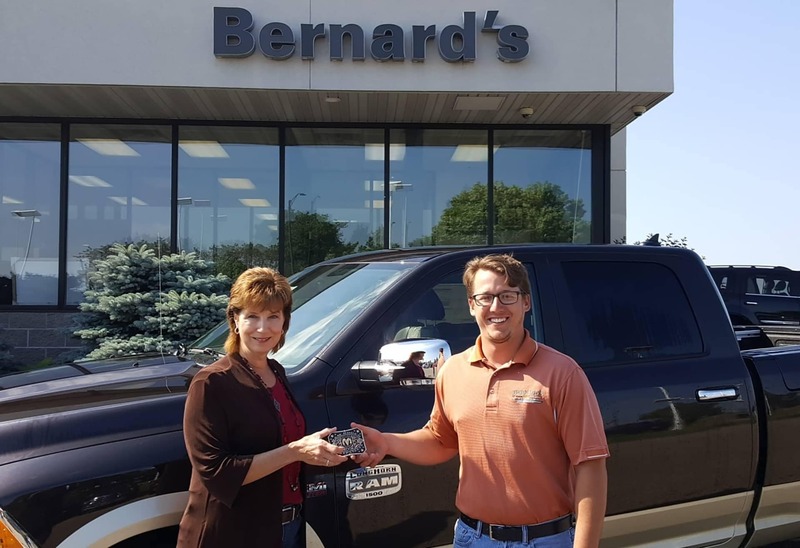 2016 Belt Buckle Winner, Jule Hudson, poses with Zack Olson from BERNARD’S to accept her buckle. 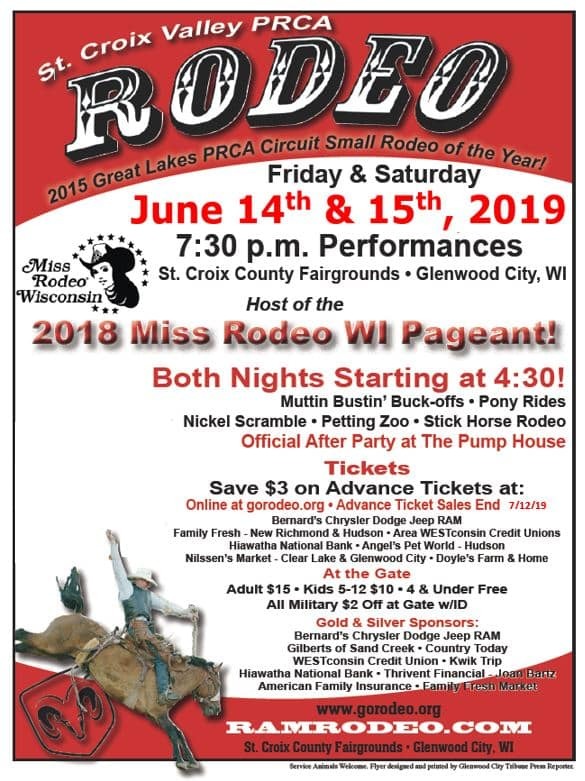 Jules is from Emerald WI and loves to have attended the St. Croix Valley PRCA Rodeo over the years. 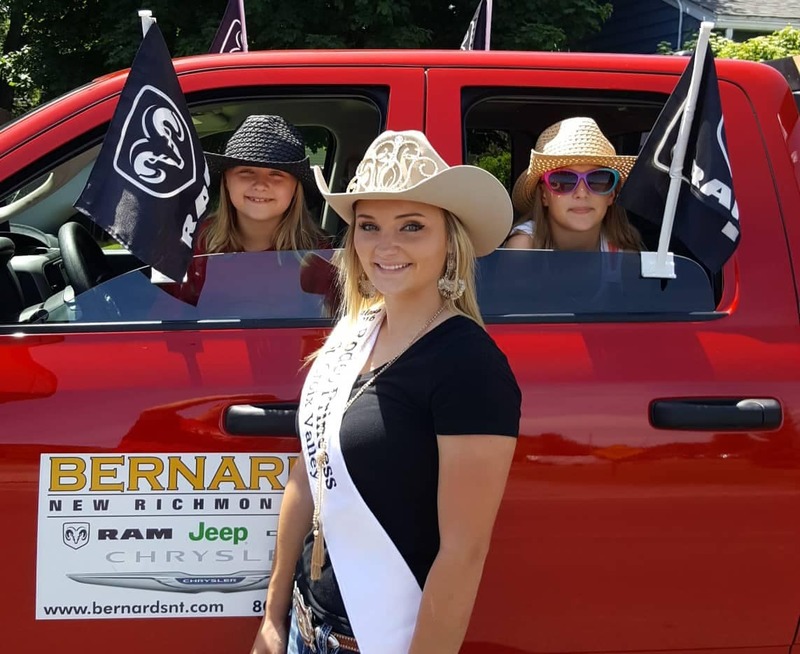 Every Rodeo one recipient is drawn from the registrations collected at the Ram Dealers table. 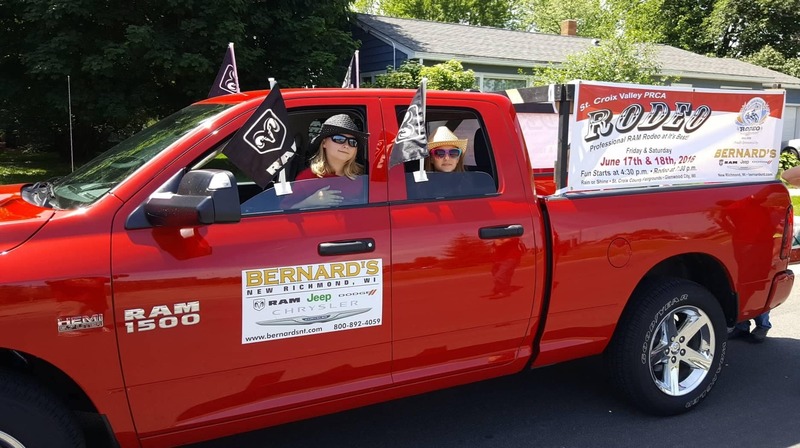 Watch for the BERNARD’S Truck at local parades and festivals to find out more about the Rodeo!